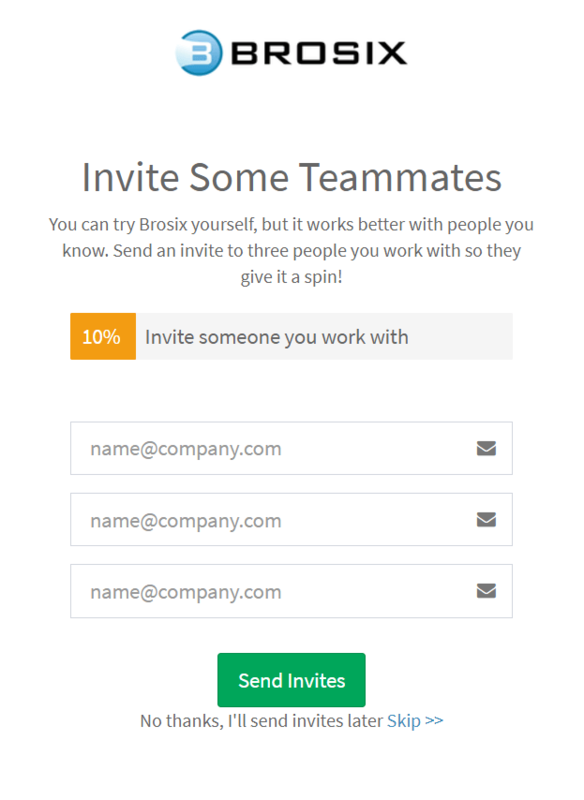 Brosix is a secure group chat which provides a great option to create a private team network and optimize your company or department communication. 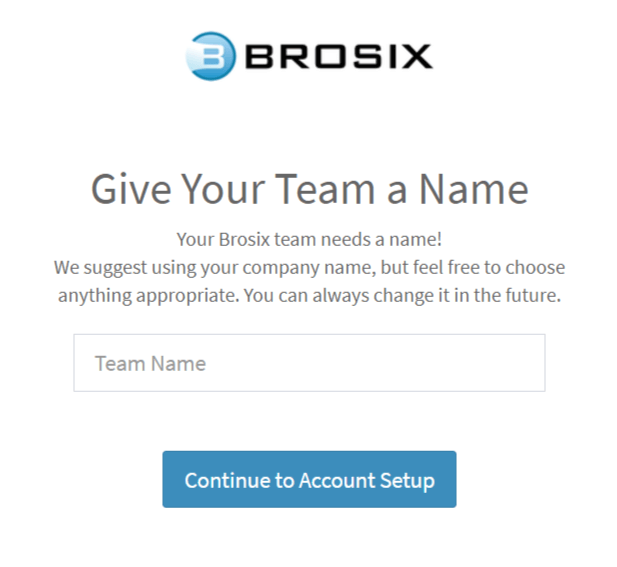 Brosix hosts your team network on dedicated servers, and you have full administrative control over it. 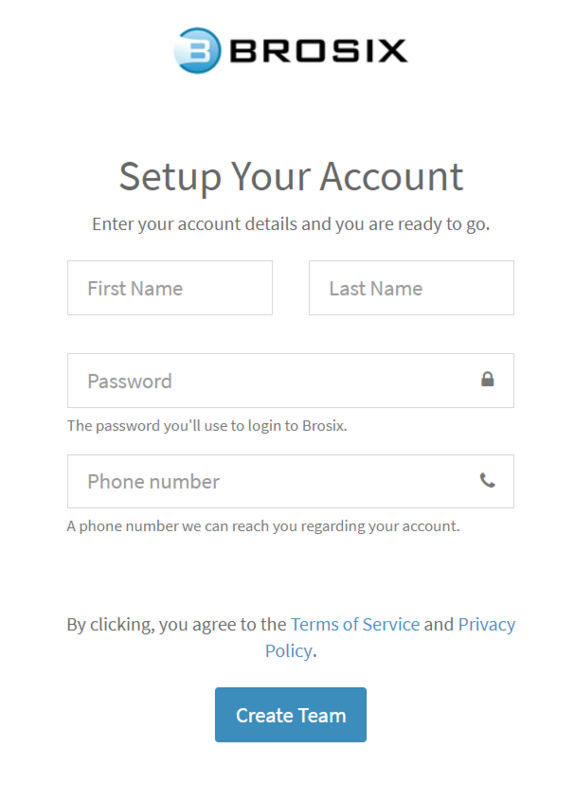 Once you create your network, you will get full access to an easy to use Control Panel that will provide you with options to manage and administer your network and users. 1. 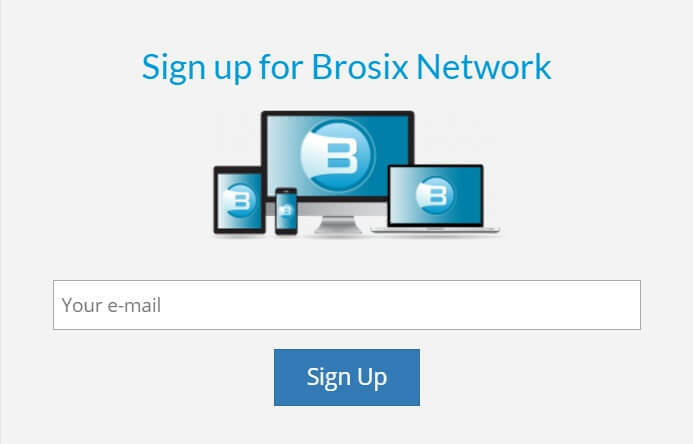 Go to www.brosix.com/signup/ and fill in your email address in the form. 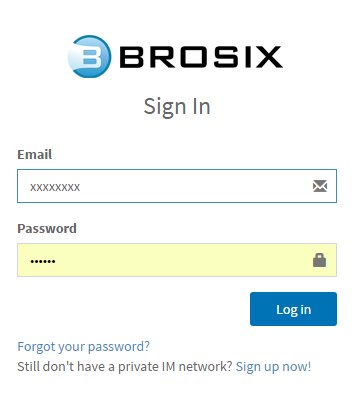 After clicking on the “Sign Up” button Brosix will automatically send you a confirmation email to your email account. 2. 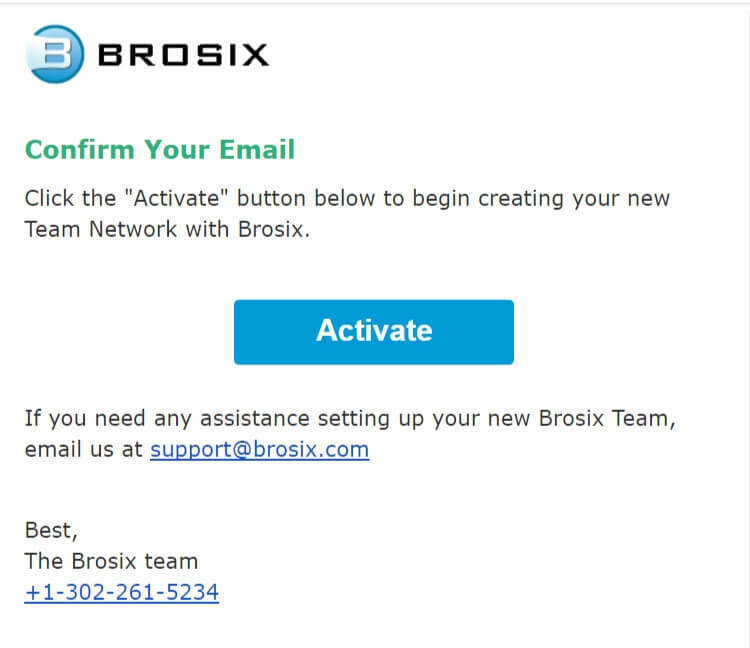 Confirm your email address by opening the email from Brosix and clicking on the activate button. Please note that the email may be sent to your spam or junk section, so be sure to check there if you don’t see the email in your inbox. 7. 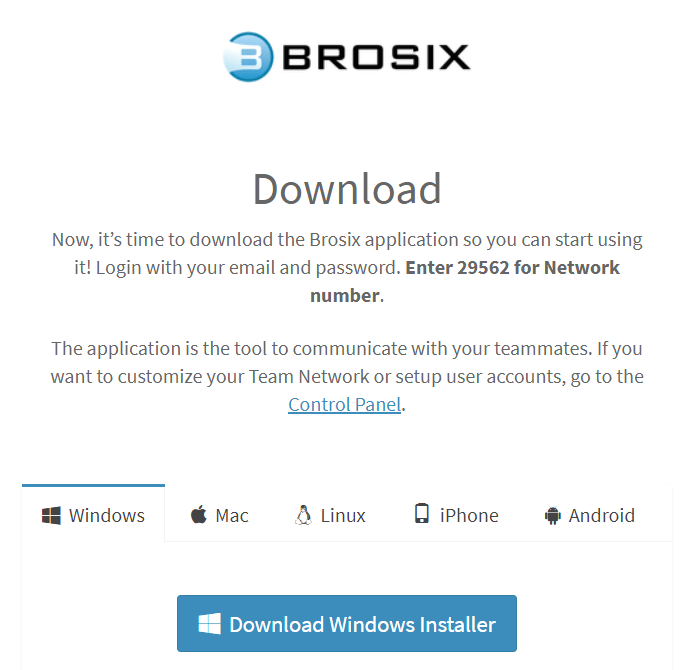 You are now able to begin administering your network by logging in to the Web Control Panel.In order to log in, go to net.brosix.com and use the email address and password that you provided when you created your team network.